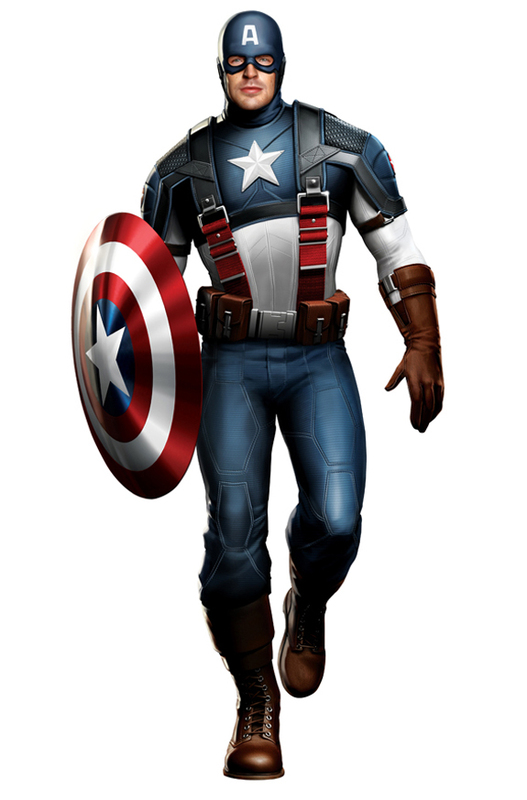 When Marvel announced the Avengers and a Captain America movie fans around the world were guessing who could play the Cap, no clear actor came up with fan circles but when Marvel announced it would be Chris Evans nobody could argue with them he has a great comic book movie following from the Fantastic Four to Losers and the soon be be released Scott Pilgrim. The next big step would be the costume. They needed to make the modern comic costume translate from our Avengers pages to the movie which is no simple task but someone has managed to do it and make it look pretty good too. The concept art isn’t 100% confirmed but looks to come from a good source. It’s likely come from the studio, not wanting to confirm anything but test the waters with the fans on how we accept what they are doing to the leader of out beloved Avengers. The Avengers costumes we have seen so far have looked great and probably made from the same latex materials as we saw in Spider-man which really helped in bringing the comic book characters to life.